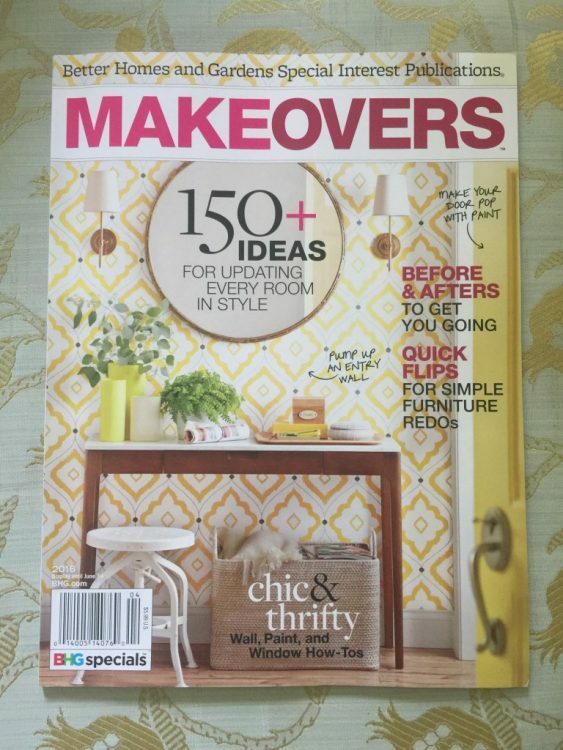 Spring is the time for makeovers – room makeovers, wardrobe makeovers, yard makeovers, and Better Homes and Gardens Makeovers issue! Why am I so excited about this issue? Well, probably because one of my makeovers is in it! If you see the magazine on the news stand while you’re in line to pay for groceries, make sure to check out pages 22-25. 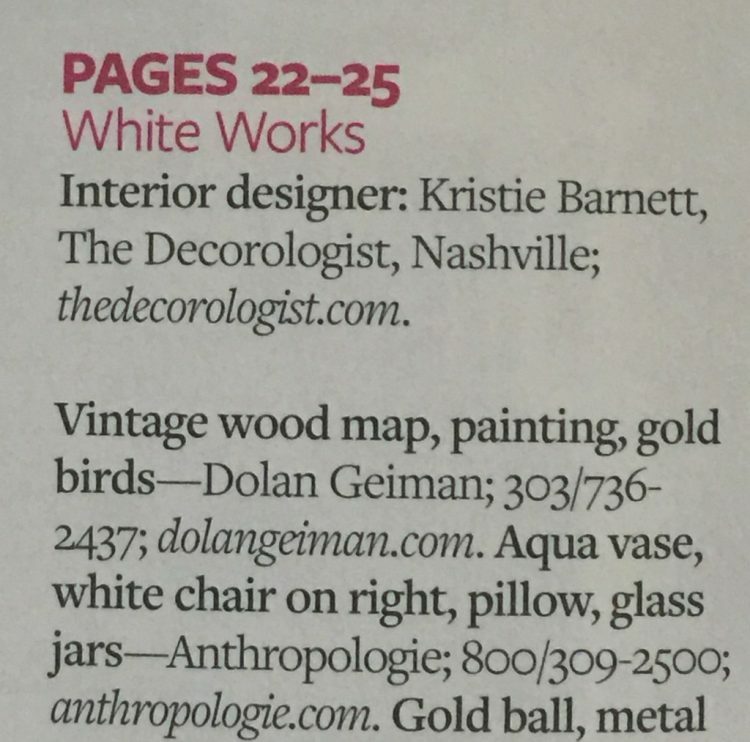 I kinda love to see my name in the index of decorating magazines! 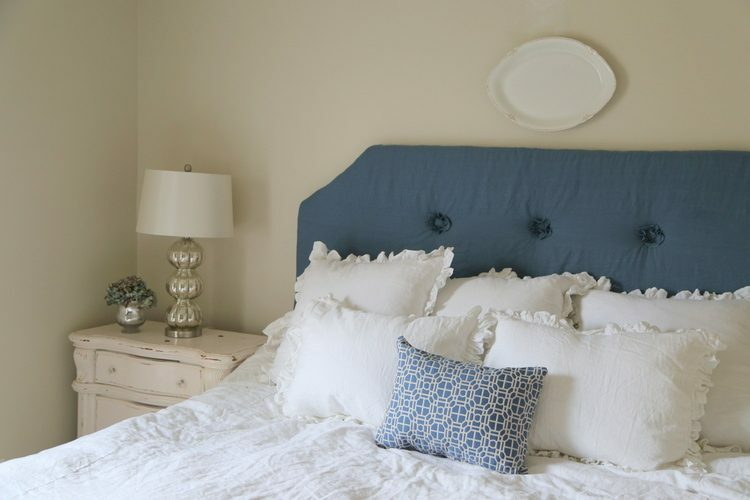 You’ll notice the color scheme throughout is consistently variations of whites and blues, right? Just a bit chaotic, right? I’ve been involved in several magazine photo shoots now, and every one has been a bit different. 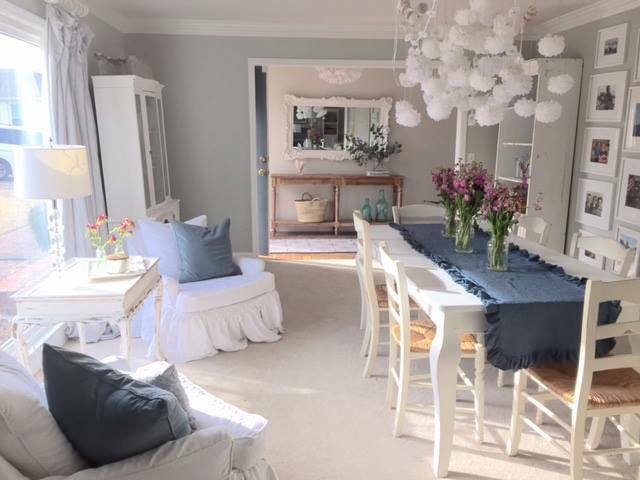 I’ve had some where there is very little adjustment in decor and styling and some where a bit more strategic styling was used to emphasize certain aspects of the home or design. But this one? Well, the styling really changed the whole look. 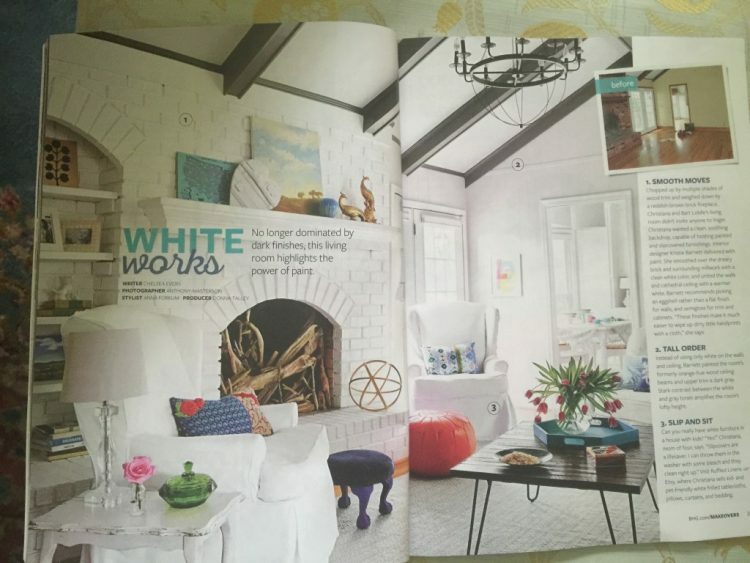 This was a before-and-after story about painting out dark features white, and the magazine wanted to invigorate the white with pops of color. Many pops of color. I have learned that in most magazine shoots, stylists want to lighten up the firebox. They bring in something like the driftwood they used on this shoot, or else light birch logs (which were brought on a photo shoot of my home last year). 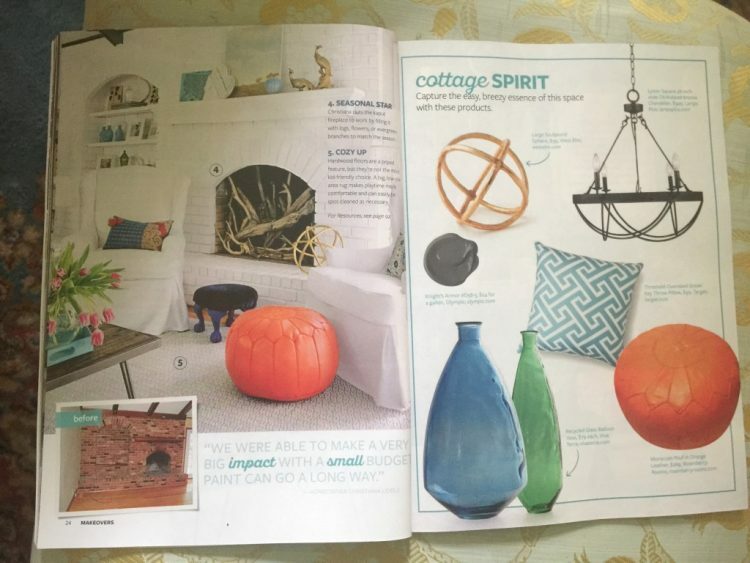 If you’ll notice, many magazines like Better Homes and Gardens and HGTV are featuring VERY intense and saturated colors. 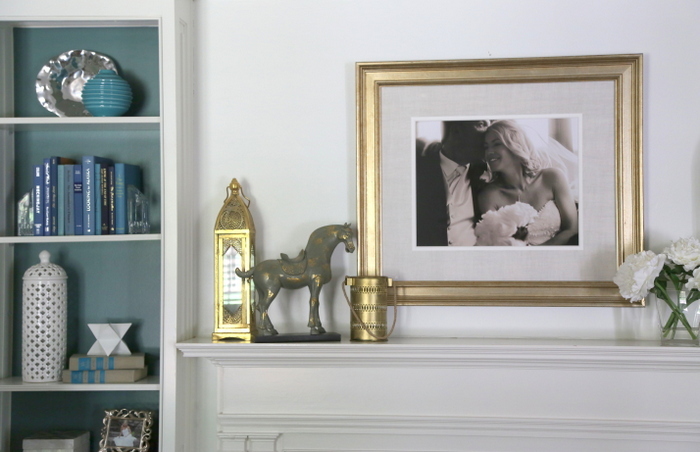 I’ve noticed that HGTV does a lot of digital color enhancement of their shots to make them really pop. 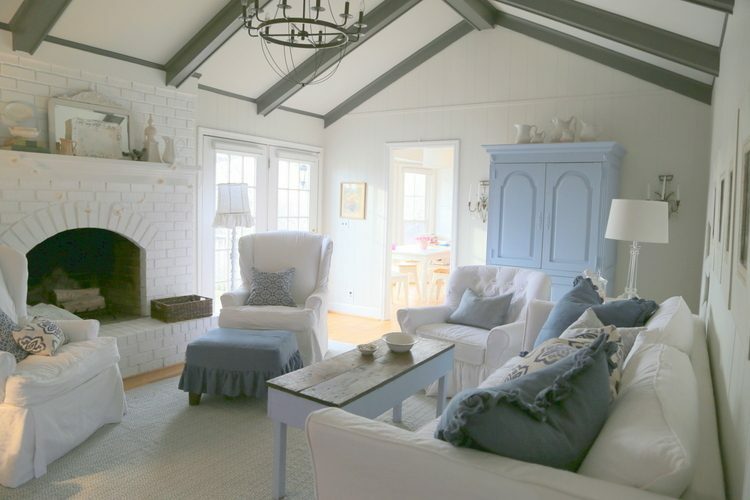 Even more reason to be careful about assuming that copying the paint colors listed in magazines will give you in the same effect in your own home – sometimes they are really off! This is the second national magazine my projects have been featured in 2016, and I’ve got two more coming this summer and this fall (they’ve already been shot). I swear, if you had told me this kind of stuff would be happening to little ole me a decade ago, I would have asked if you’ve been smoking crack! I’m very thankful to be able to do the work that I’m doing and to get this kind of exposure for doing it. 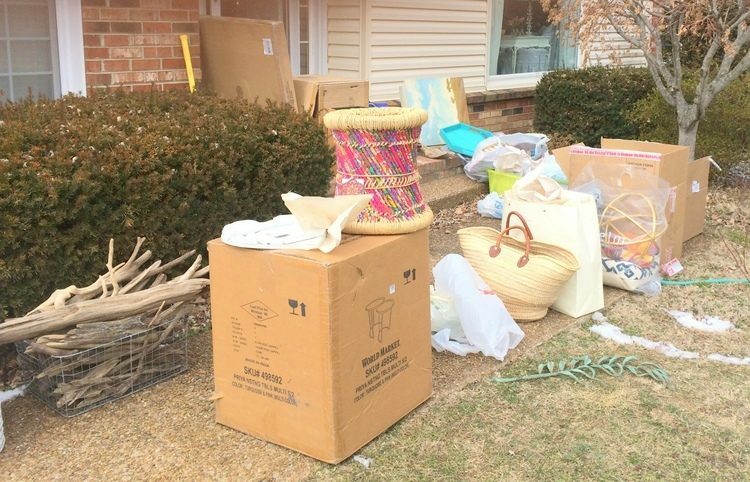 Maybe it’s your turn for a life makeover – I hope you can join us! 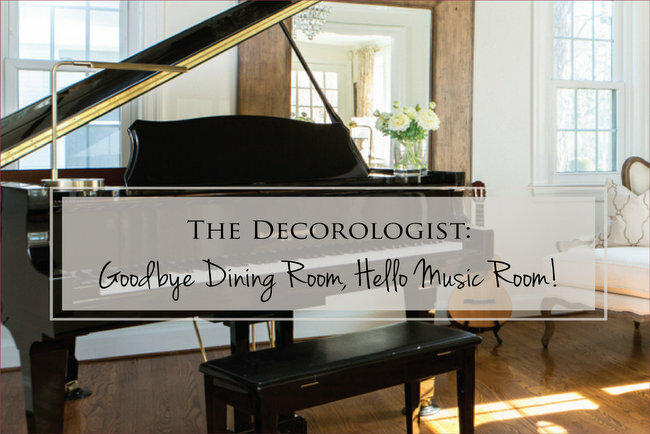 Goodbye Dining Room, Hello Music Room! This entry was posted in Color Consultation, Decor Addiction, My Decorology and tagged better homes and gardens, decorating, decorologist, design, living room designs, magazine, makeovers, nashville, painted brick, painted fireplace, photo shoot, photo styling, pops of color, staging, styling, white and blue rooms, white walls. That is a beautiful layout, and no less than I’ve come to expect from you. I’m so disappointed I haven’t got my new issue yet! Great work! Thank you so much! They sent it to me in the mail, so it’s possible it isn’t quite out yet! That’s so awesome, Kristie!! What an inspiration you are, and what a gift you give as you empower women to overcome fear and pursue the career they’ve always dreamed of! A true blessing, that’s what you are!! What an incredibly kind thing to say – I loved getting to know you in the staging training. You are a rising star, and I love to see what you are doing in your business!!! Hooray! That is so wonderful Kristie! So happy for you my friend!! How exciting! I love seeing your work published! How fabulous! So happy for you! They did a terrific job AND they spelled your name correctly. haha. 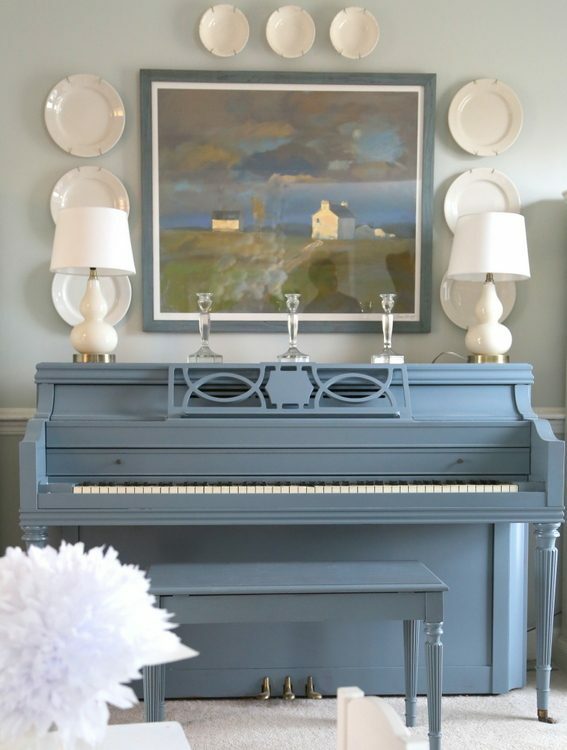 Love the shot of the beautifully styled blue-gray piano. Did you paint that too? Me thinks the answer is yes. It’s so pretty painted. 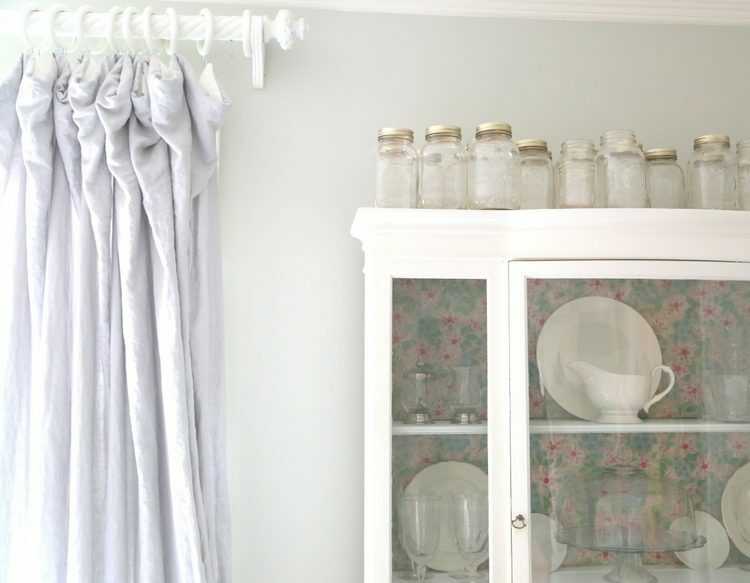 I would gladly just paint everything! Oh wait. I did do that! Kristie, this is amazing!!! I’ve actually seen this house in person and it is amazing. Love, this feature!! Proud of you girl!!! Are you sure you’ve seen this house in person?? Fill me in on the connection! Slipcovers? This is so exciting, Kristie!! Congratulations! Thank you for making Nashville proud! Your immense talent and kindness got you where you are today Kristie ! You have opened those doors by being the wonderful person you are. Everything you do, shows how much you care about your work. 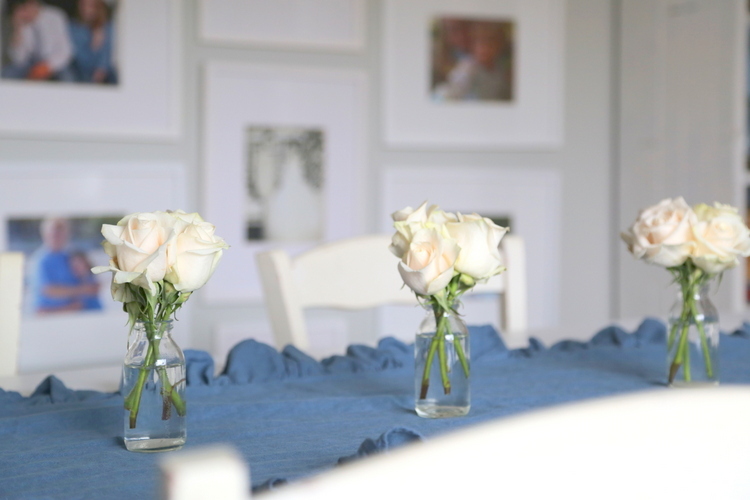 Life happens at home for most of us, and by making homes beautiful, you are setting the stage for happiness and great memories. 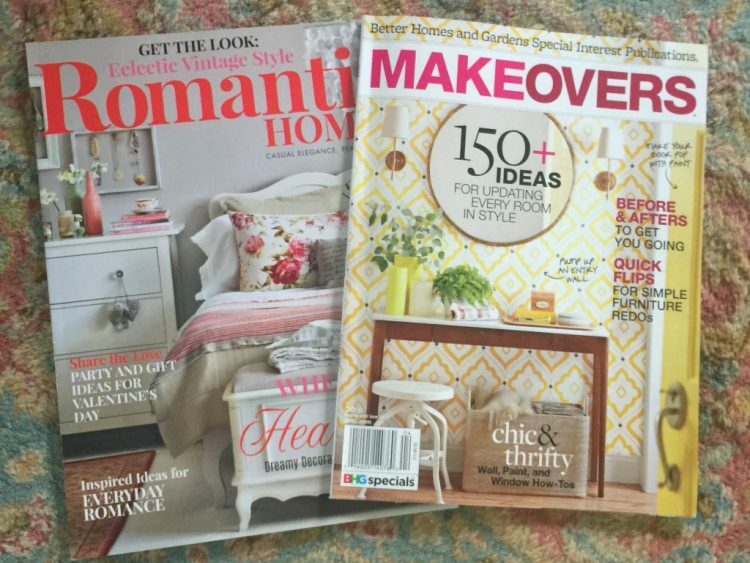 Kudos and congrats on the BH&G Spring Makeover publication !! Hey, Kristie! I loved this post; makes me wanna run out and buy that magazine! (Well, I call them maga-books now, since some can be pretty expensive, lol) Congratulations on all the exposure you’re getting — it is well-deserved! 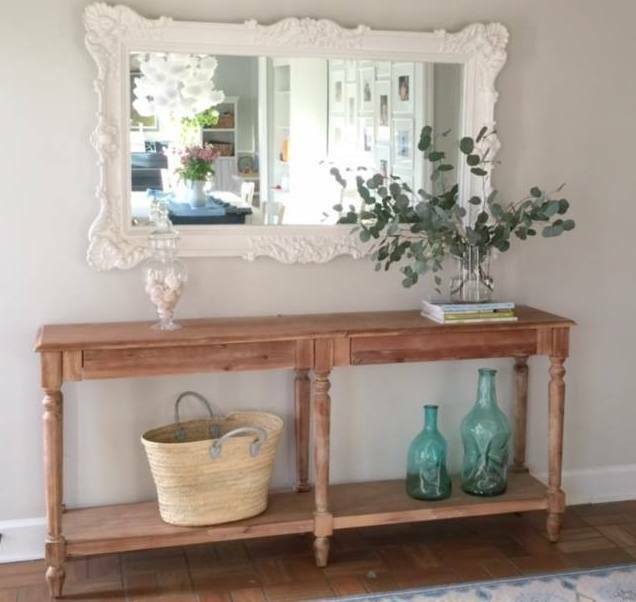 Yours is one of the only decorating blogs I still subscribe to. Keep up the good work!